20,500 international marine industry professionals will convene in Amsterdam RAI. During 3 days filled with inspiration and innovation, METS provides the perfect platform to network, exchange ideas and do business. The International WorkBoat Show is the one industry event that gets you in front of thousands of qualified buyers who spend millions of dollars annually on world-class marine equipment and services. From large fleet owners to independent vessel/owner operators, you will find them all here. Coming off of another successful year, 2017 is your opportunity to get connected with what you need to continue building and maintaining your business. With over 110 exhibitors Skipper Expo Int. Galway is the biggest commercial fisheries show in Ireland. Star attractions include boat displays, pool demos and the superb exhibitors’ seafood buffet. The Gas Indonesia Summit & Exhibition (GIS), as part of Gastech portfolio of events will be launched in Jakarta, Indonesia on 15th – 17th March 2016. Oceanology International is held in London every two years. In its 48th year, it has firmly established itself as the world leading marine science and ocean technology exhibition and conference. By 2020 the UAE will be part of the top seven maritime centres in the world. With this exciting prospect comes huge pressure and significant responsibility to deliver and pave the way in marine and coastal engineering practices. 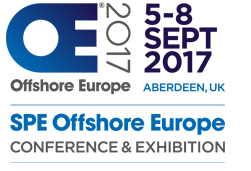 BALTMARE is a maritime & offshore career event for the first time organized in the Baltic States, in the heart of this region – Riga, Latvia. This one-day networking event gathers local and international participants: both companies and job seekers in the maritime industry. Presently, the three Baltic States are among the fastest growing economies in the European economic zone, to a large extent due to increasing number of jobs in the maritime sector: there are approximately 30 000 maritime professionals in Latvia, Lithuania and Estonia. Maritime studies and related training programs are important for the Baltic region as this assures a constant flow of new labor and boosts their local economies. Maritime academies and universities made the education of English language one of their top priorities, good communication skills in this industry is an absolute requirement. The BALTMARE event is focused on networking and interaction among motivated job seekers and employers in the maritime, dredging and offshore sector. The world’s largest gathering of Tug, Salvage & OSV Experts.